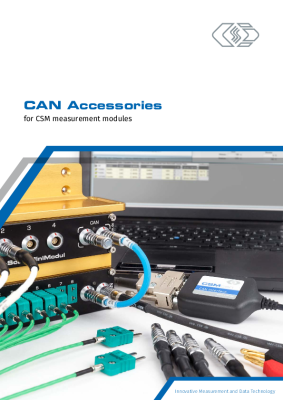 Accessories | CSM Products, Inc.
A wide range of accessories is available for the CSM measurement modules and data loggers, such as the USB to CAN interface CSMcan, system and signal cables, plugs, sockets, mounting materials, antennas as well as memory cards. The system cables, for the engine compartment-mounted CSM MiniModules (CAN bus- and EtherCAT®/ Ethernet networking as well as power supply), are specifically made for this purpose. They are designed for high interference resistance and the lowest possible internal resistance of the supply lines as well as wide operating temperature ranges. 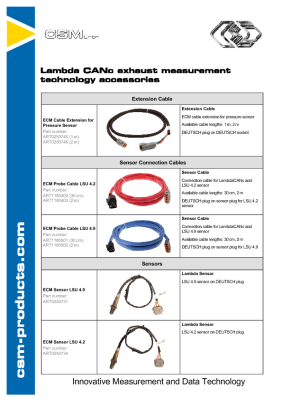 The cables are flexible and extremely resistant to chemicals, including fuel and oil. Do you have special wishes and requirements? Please do not hesitate to contact us. 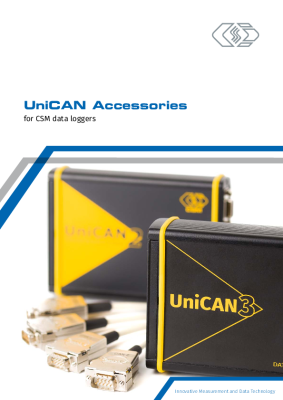 CSMcan is a cost-effective CAN bus interface with USB port for the data acquisition and visualization software vMeasure from Vector Informatik/CSM.